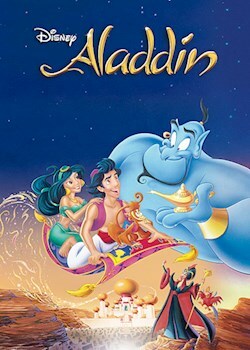 Aladdin is a poor boy who lives on the streets of Agrabah. Forced to steal food in order to stay alive, he is constantly on the run from the law. When he is granted three wishes by a magical Genie, Aladdin makes himself into a prince and sets out to win the heart of the beautiful Princess Jasmine.